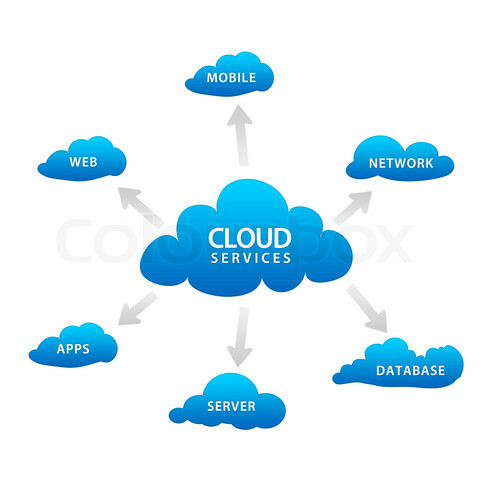 Cloud Services and Media Companies has deeper relationship which should be surprising when various applications and usages of Cloud Hosted options are adapted. When it comes to looking at the fact, how cloud services are adopted by the media companies and what are the benefits of this adoption, two important services arrives – one is Streaming Media and another is Content Delivery Network. If we take for News based service as an example, we will notice that the companies incorporates some of the most advanced methods in the world for streaming, Some uses Google Apps, some others Akamai. Google Apps as whole has the advantage of giving access to email, 25 GB of storage per account, the ability to customize email and a kind of authentication based on its own network, apart from the other services. For the the rest the option is clearly directly Akamai or some high class distributer like Rackspace (Rackspace Cloud Files). Practically, Akamai has no competitor, with the client list from IBM to Microsoft. Cloud technology is ideal for the media organizations that operate in the increasingly inflated news accessed by millions from various devices – this was never a problem even 3 years ago. Cloud computing and specific Cloud Services in these case is as an ideal technology for organizations linked to the media streaming, plus the reporters have to use devices as comfortable as possible to move around the world and stay connected from all location, the remote nature points towards Content Delivery Network which gives the way to these devices in secured way to upload on internal network, immediately in an environment where even seconds can make a difference. They need to be edited almost in real time and made ready for the broadcast. These needs huge amount of RAM, which more practical with a RestfulAPI binded group of services. Safety : according to Gartner, these companies are very concerned about the integrity and security of content that meet the distribution via the Internet, in particular with respect to redistribution without permission of their contents. This perennial problem can sometimes be solved by taking special safety arrangements directly with the provider. Service availability : Interruptions are bottlenecks in performance for companies that distribute content of real time. For this reason we (we means the mankind not us) develop systems in the coming years services and the network architectures which are tailored specifically for the needs of media companies. Transparency : The world of content creation is a universe of complex relationships. Large distributors will have to change decade old rules and business practices related to content licensing and distribution of revenues among stakeholders. Akamai is best, serves 90% either with their technology or infrastructure but any company has a physical limitation. More services needed to be grown. Regarding Cloud Services, we are giving more importance to software than real hardware, even theoretically only software based, without any geographically distributed physical datacenter, content distribution is impossible. Except few companies, that includes Rackspace, Amazon and Google; none has better infrastructure for these purpose. Again, Rackspace or Akamai might be best but physical limitation, resource limitation, strategic limitations are actually bigger bottlenecks. Neutral bodies, probably needs to interact with some geographically located places for local issues for raising up a physical datacenter. A datacenter is not a dangerous building, local politics makes the implementation impossible. It is matter of fact, I might will look for a geographical location at US for a bigger establishment rather than India to avoid various issues. US, India are just names used for example, both are democratic countries and it is safer to give an example. It is impractical to think a datacenter at Singapore will serve content at western part of India as part of CDN Cloud Services. The geographical location becoming somewhat in middle between between UK and Singapore. This Article Has Been Shared 854 Times! Cite this article as: Abhishek Ghosh, "Cloud Services and Media Companies : The Relationship," in The Customize Windows, December 7, 2012, April 21, 2019, https://thecustomizewindows.com/2012/12/cloud-services-and-media-companies-the-relationship/.